educators and students around the world. Revolution Lightboards equips institutions and corporations with the tools to create natural, immersive presentations. Capture your audience’s attention with the internally lit ultra-clear glass and fluorescent markers. Engage your viewers in immersive presentations without turning away to face a whiteboard. Writing on our lightboards allows you to face your audience for a natural and more personal connection. The comfort and familiar feel of a whiteboard, but better. Overlay images and video content to enhance your presentations. Create video recordings that allow you to continuously create dynamic content easily. Our team was very impressed with the overall build quality. 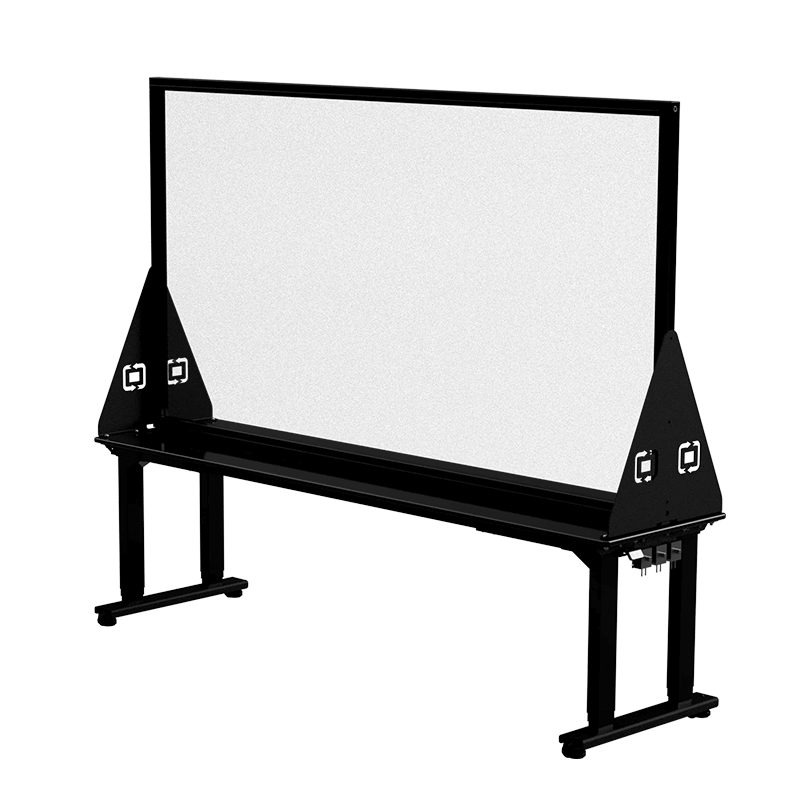 The 82" lightboard is very stable and easy to move around. The ability to adjust the lights and height have also made the setup much easier in our small studio. Thanks for the great product. I’m really impressed with the kit. It’s been extremely well designed and very well thought out. The precision of the design and the engineering made it a joy to put together. Delivery to the UK was painless, the kit was shipped promptly and arrived on time. Accessories and consumables to keep your lightboard studio running.